Wow, what an AMAZING Weekend! I’ll admit I had my doubts about traveling to Amsterdam and attending the event alone, in a country where I do not speak the language, but I had promised myself if I ever had a chance to meet Kayla and attend one of her boot camps I would. So, Friday AM I finished packing my bag and jumped on the bus to head to Amsterdam. Thanks to Kayla’s BBG I have connected with some amazing women around the world, including my Dutch friend & BBG sister Oksanna, who was kind enough to host me this past weekend. She unfortunately could not attend the event, but Saturday morning, with her help we figured out the route I would need to get to the Boot camp, I off I went. 1 Bus Ride, and 2 Trains later I arrived! While riding the train and standing in line waiting I met some other BBG girls who had also traveled alone, and just like that we joined forces for the day. 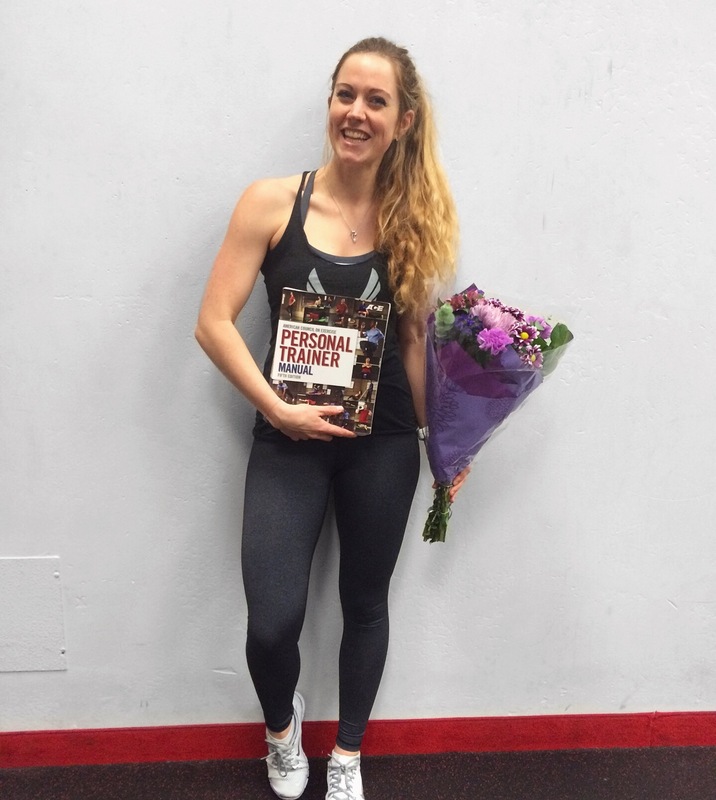 It’s amazing having a love of fitness and these guides in common, it creates an immediate connection/bond. We lined up outside the gates, and waited for the gates to open, excited and eager to enter the event, as more and more girls and women continued to show up and get in line. Once the gates opened, in poured upwards of 2,000 women of all ages, shapes and sizes. Teenagers, women in their 20s, 30s, 40s, and 50s, mother and daughter duos and groups of fitgirls. All these women coming together to celebrate Health and Fitness and experience this unique experience together. It was truly an amazing sight to see and experience to have. The event was hosted by Glamour Magazine Netherlands, who planned a whole day of Health & Fitness. The day kicked off at 11:30 with a Yoga Wear Fashion Show, followed by a 45 minute Yoga class taught by Wilma Werkheim. The yoga class was all in Dutch, but thanks to my German knowledge I was able to understand quite a bit and keep up without too many difficulties. The yoga class was followed by another Fashion show showcasing Running wear. Then came an hour break in which everyone could explore the Fitness wear stands, and grab something to eat or drink at one the many Healthy Food and Drink stands where you could eat almost anything your heart desires! There was such a large variety of healthy and nutritious options including, Bliss Balls, Fresh Smoothies, Breads with Avocado & Fresh Green Apple, humus & roasted Eggplant, Banana Pancakes, Tabloué Salads, Banana Bread, Vegan/Soy, Gluten & Sugar free Vegetal Ice Cream made from Fruits and Spices. 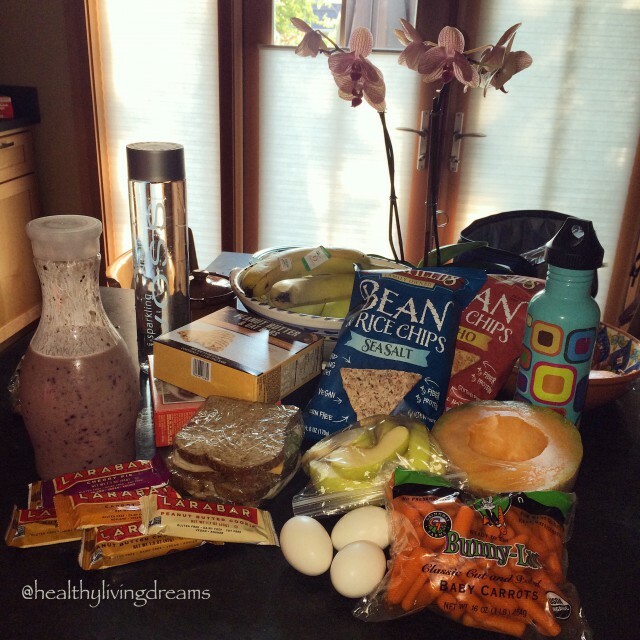 Guilt free snacks and beverages designed to fuel your body! After the break, everyone made their way back to the main field to get ready for the Boot camp. It was kicked off by a final Fashion show of Fitness Wear by some gorgeous Dutch women, including fitness bloggers, and members and founder of the Dutch companies Fitgirlcode and Jogha. Kayla’s Boot camp started straight after! 30 minutes of almost non stop training. She kicked it off with a very sincere Thank You to everyone, and then jumped right into the warm-up! 3 rounds of 30 second of each: Jumping Jacks, Squats and Jump Squats, Mountain Climbers, High Knees, and Push Ups. She then went into rounds focusing on two different exercises, one Jump/Fast exercise followed by an AB/Core exercise. 3 rounds alternating between the 2 exercises for a total of about 3:30 minutes. 1st combo was everyone’s favorite exercise Burpees, followed by a Plank. Then came Jump Squats and Ab Bikes, followed by Split Jumps and Bent Legged Jack Knives. Then came the TEAM Workout, with the walk way used a divider, we were split into two groups and told to face each other. Kayla gave us two exercises, starting with X Jumps and Ab Bikes to be done alternating every 30 seconds for 2 minutes. 2 more rounds of this for a total of 6 minutes facing our Team. The final big Combo of the Boot camp was 5 straight minutes of 10 different exercises, 30 seconds each; Push-Ups, Jumping Jacks, In and Out Jumps, Ab Bikes, Plank, Commandos, Jump Lunges, Lay-Down Push Ups, Mountain Climbers and Burpees! 5 Minutes of Pushing Ourselves to the Limit and it felt Amazing!!! We cooled down, stretched and then took some massive group photos! FULL Boot camp Workout Video is up on Glamour NL’s website! Photo Gallery is up on the Glamour NL Facebook page. Directly after the Boot camp, Kayla had a Meet & Greet, and hundreds of women lined up and waited patiently for their chance to meet, talk with, hug and have a photo taken with Kayla. So many smiles, happy laughs and even some tears of gratefulness. She has changed so many lives with her Guides, and the community that formed because of them, including mine, and it was an amazing, beautiful and overwhelming experience to meet and chat with her in person. After 6 hours in the Sun, full of fun times, good food, new friends, and a Killer Workout, it was time to leave. But the feeling from this Day, the Energy and Excitement, the Team bond, the Motivation to personally Do my Best in All that I do, has stayed with me. It was an amazing experience, and I am so grateful to have had the opportunity to go. Did YOU attend the Event in Amsterdam? Or are you planning on attending another one of Kayla’s upcoming events? I would love to know! Healthy Living: Let Today be the Start of Something New. New Day, New Month, New Goals. Each day truly is an Opportunity to Change your Life for the Better. So, Let Today be the Start of Something New. Each day we have a choice to start something new. You can Start small and decide that Today is the day you will start walking or biking to work instead of taking the car, or the day you start using the stairs instead of the elevator. Today is the day you start adding one spoonful of sugar instead of two, or switching it out all together for a more natural sweetener such as Stevia or Honey. Today is the day you start trading your candy bar for a piece of fruit, your soda or beer for a tea or fruit infused water. Today is the day you will stop skipping breakfast, and start your day right with a fueling and filling meal, firing up your Metabolism. Today is the day you start better organizing your schedule to make sure you have time for your workouts, meal planning/prepping and downtime. Today is the day you Drink More WATER, the Liquid of Life. Today is the day you spend Less time on your cellphone and More time with Loved ones! Check out my Blog Post “Finding a Balance” for more tips on making small changes towards a Healthier Life. Each day is an Opportunity to Push ourselves and keep working towards our goals. Try a Join a new Fitness class you’ve been thinking about and workout alongside all those other people working towards similar goals, support and push each other. Do some research about healthy meals, and try cooking a new one for yourself, or get more serious about meal planning and prepping (personal goal). Start adding in more Yoga to your normal routine (another personal goal). Venture into the “Guy area” of your Gym and hit the Squat rack! And don’t be afraid to ask for help and advice! Never forget that everyone starts somewhere. Or start the training program you’ve been debating doing! My personal recommendation is Kayla Itsines Bikini Body Guide, which I have been following for the past 8 months and love, as it has truly pushed me to new Limits and helped me grow and improve in so many ways! 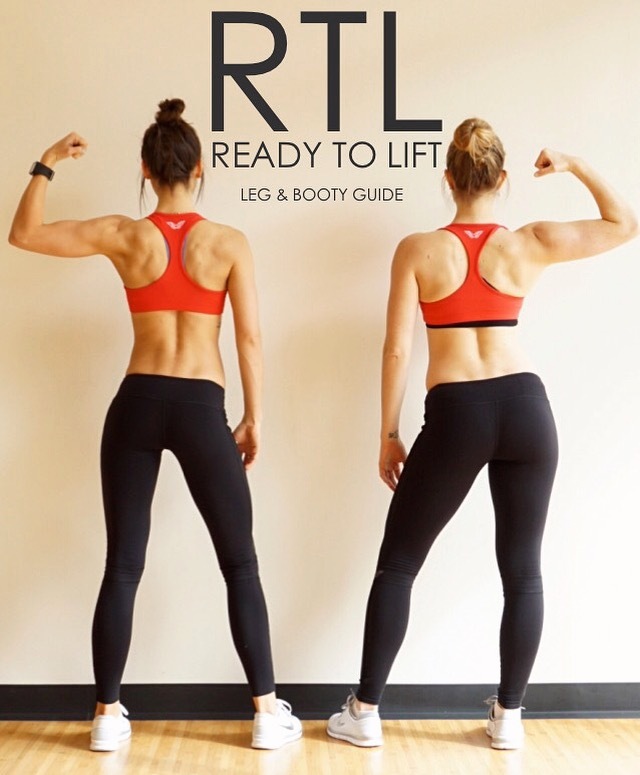 (if you are interested in trying the Guide click here for a Free week of Workouts and Here for the Full Guides). Sometimes it can seem intimidating and overwhelming to make a Change, but that is why you can start small and gradually add in more and more. It is the little things we do that truly add up to Big, Staggering results! So don’t be afraid to start, to change, to try something new. Because today is another day to start/keep working towards your goals, and a healthier and happier version of yourself. 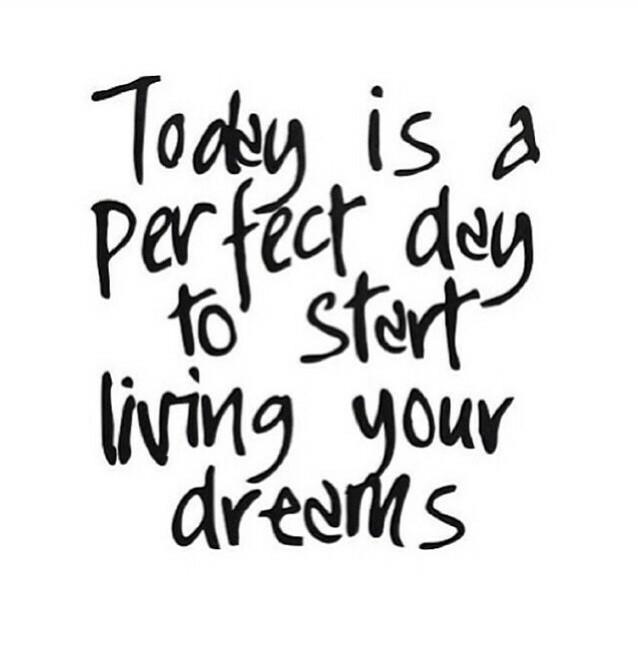 Today is the day to Find, Try and Do something that your Future Self will Thank You for! 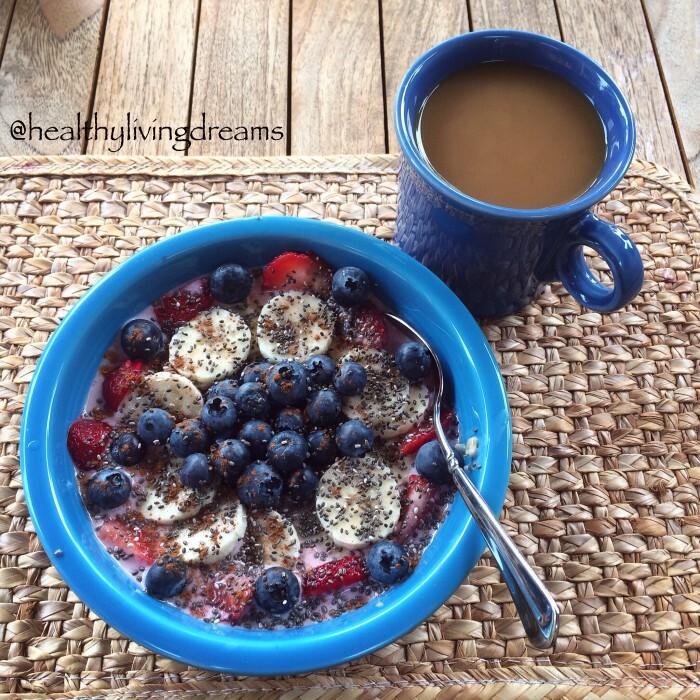 Oatmeal: My Favorite Quick and Nutritious Breakfast, Here’s Why. Oats, Oats, Oats. So many delicious recipes and possibilities with this little grain! Oatmeal Pancakes, Oatmeal Cookies, Protein Oat Cakes, adding Oats into your Morning Smoothie and of course “plain” old Oatmeal! Lately I have been on a such an Oatmeal kick! Scroll to the bottom for 2 of my Fav Oatmeal recipes for Breakfast! After doing some nutritional research this Winter, I decided to change up my eating habits a bit and start incorporating a bigger variety of foods. One of my goals was to switch up my breakfast as well, as my beloved toast with eggs and avocado was getting just a tad boring and taking too much time to prepare in the morning, so much so that sometimes I would skip breakfast before work, or just have a couple of rice cakes. I wanted something easy to prepare, something delicious and something filling and nutritious that would fuel me for the day! That is when I decided to really give Oatmeal a go. Of course I had tried it before, but would eat it very rarely. So, I began experimenting with different Oatmeal combinations, and quickly discovered that I really DO Love Oatmeal. It is so easy and quick to prepare, you can add so many different delicious things to it and it has some Amazing Health Benefits!!! It’s no wonder it’s one of the health crazes that has stick around! Since switching to Oatmeal for my normal weekday breakfast, I feel I have more energy for the day and I don’t have as many cravings, and those are just the things I can notice! Here are some other benefits as well. Oats contains important fibers that help you to feel full longer (whereas a breakfast full of sugars and fats can make you feel full for a brief period but you will become hungry again much quicker.) meaning you are likely to eat less later in the day. Fiber helps control blood sugar levels, so you don’t have an energy crash, and helps with digestion. Eating oatmeal can help lower your cholesterol, especially your LDL, or “bad” cholesterol. Oatmeal is low in fat and is a whole grain that is a source of protein, iron, magnesium and B vitamins. Can help protect skin, “The starchiness of oats creates a barrier that allows the skin to hold its moisture, while the rougher fibrous husk of the oat acts as a gentle exfoliant.” -Written by Sara Bonham Click the link to check out her article on Life Hack for even more amazing benefits! All the Benefits listed above have to do with OATS, and while Oatmeal is of course made from Oats it is Important to be aware of what type of Oats you are actually eating. Generally speaking the larger the Oat, as in rolled oats or steel cut oats, the less processed it will be, the more nutrients it will have and the longer it will take to digest. I tend to buy either Whole or Fine oats, but Never Instant! The majority of the time Instant oats are packed with sugar! You might think those Cinnamon Apple flavor oats are healthy, but check the nutrition label and you will see that many instant oats actually have a lot of added sugar. I always buy completely plain oats and add my own natural sweeteners such as Stevia drops or honey, although generally my fruit toppings give my oats enough sweetness, in my opinion. Some of my usual (but not all at once) Oatmeal ingredients include: Oats, Eggs, Water, Oat Milk, Strawberries, Raspberries, Blueberries (frozen and/or fresh), Ground Flax Seed, Maca Powder, Chocolate Protein Powder, Chia Seeds, Stevia drops, Yogurt (although lately I am avoiding dairy as much as possible). Here are my two favorite Oatmeal recipes Can be prepared in the morning, or partially prepped at night. Note: I rarely measure out things but these are the approximations of what I add. Choco~Peanut Butter~Fruity Oats: 1-1.5 Cup of Oats, 1/2 scoop chocolate protein powder, 1/4 cup frozen Raspberries, 1/2 a Banana, 1 tsp Peanut Butter and Oat Milk. Directions: Mix Dry Ingredients first, then add water so that Oatmeal is completely saturated, add in frozen Berries and put in microwave for about 2-3 minutes on high. Take out and add in Peanut Butter, Fresh Banana and top with Milk of choice. For Overnight Oats, simply follow all steps above except for microwaving. 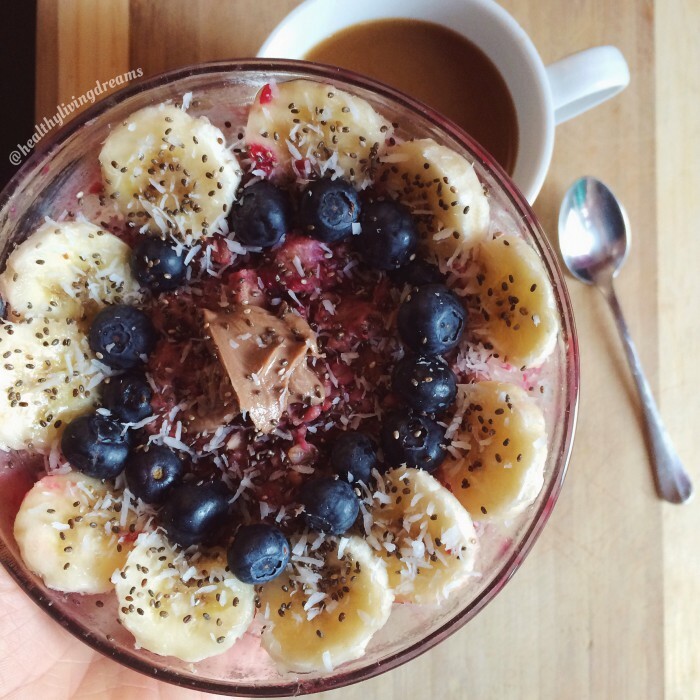 Add all ingredients together and stick in fridge overnight so your breakfast is ready to go in the morning! Healthy Fats, Protein & Fruity Oats: 1-1.5 Cup Oats, 1 tbsp ground Flax Seed, Chia seeds, 1/4 cup frozen raspberries, 1/4 cup frozen Blueberries, 1 Egg, yogurt or milk of choice (I use Oat milk or Goat yogurt). Directions: Mix dry ingredients first, then add water so oatmeal is covered but not completely soaked. Add in egg and mix well. Add in frozen berries (or fresh if you have them) and stir again. Place on microwave on high for about 2 minutes, stir once, then microwave again for 1-2 minutes. Take out and top with a bit of Milk of your choice or Yogurt. Add a few Stevia drops or honey for bit of added sweetness (although I don’t think it needs it). Enjoy! More recipes coming soon! Hope you enjoy! I absolutely LOVE traveling and try to take little trips whenever I can, but it can sometimes be difficult to stay on track with my normal eating and exercise habits while traveling. 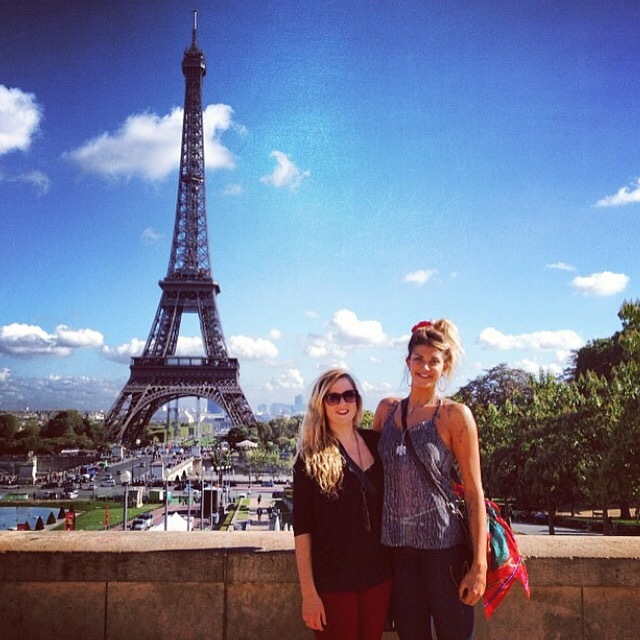 I understand how traveling can mess with the normal rhythm and routine. Being away from home without access to your usual food and unable to prepare your own meals can make it hard to stick to an eating plan. And being without access to a gym can make it hard to stay on top of your workouts. I believe it is Important to truly enjoy yourself when you are on a trip, but that doesn’t mean you can’t make healthy choices while away from home! Such as, choosing water at a meal out instead of soda or beer, choosing whole grains instead of white, packing your own healthy snacks and taking lots of walks while exploring the city or place you are visiting! It will always depend what kind of trip you are taking, where you are going and for how long, but no matter what you should always do you best to stay active and eat nutritious foods whenever possible. And drink lots of water!! When we are on the go and away from the routine we tend to forget to drink enough water, but keeping your body hydrated is so Important! As someone who Loves traveling and does so semi frequently, I have had to learn through trial and error some different tricks and tips for staying on track. FOOD: Are you able to bring food with you during your travels? And will you have access to healthy snacks and food once you arrive? If you are traveling by car then you will have many options to pack whatever you want. Even if you think you will have access to a grocery store with healthy options I recommend packing a few essential items just in case. I have made the mistake more than once, thinking I would have immediate access to a grocery store, only to discover it was already closed or was too far a distance to get to the first day during a trip. If you are traveling by plane it’s a different story of course but I still recommend packing a few essential food items for the actual flight and when you arrive, such as fresh and dried fruit, unsalted nuts, fruit and nut bars, and protein bars. The food on airplanes is also heavily salted and can be very fatty, so be aware of what you are eating. I usually do eat some of the airplane food, as most of the flights I take are usually 12+ hours, but during my layovers I try to only eat fruit and veggies and drink lots of water. Living here in Germany, the majority of the time I travel by train or bus, as it is the cheaper option and I don’t have a car, and so I make sure to pack a small bag of snacks for the trip. My personal snack and food list for a road trip/train ride include: Homemade sandwiches and smoothies, fresh fruit and veggies such as bananas, oranges, apples and carrots, fruit and nut bars of some kind (beware of extra added sugars!). My favorites in the U.S. are Lara Bars, which are literally made of just fruit and nuts. Here is Germany I have yet to find a good quality, affordable bar. I also love to have a crunchy snack so I pack either whole grain crackers, rice cakes or bean and rice chips (full of fiber and protein). In addition I pack my own Peanut Butter to have with my rice cakes or bread that I buy. And I always bring my liquid Stevia drops with me everywhere to flavor my coffee, as I really try to avoid white sugar. EXERCISE: Will you have access to some kind of gym or other area to do your workouts? Are you able to fit your workout gear in your bag? If yes to both, great! Pack your workout gear and plan to set aside a bit of time for your workouts in the best way that work so for you. Even a half hour to one hour workout will really benefit you! If you are tracking with someone, make a plan for staying active together and then hold each other accountable. If you will not have access to a gym, no worries! There are so many mini workouts that can be done outside or in a hotel room that require no equipment. My suggestion, search on YouTube for some routines, or check out my Facebook page for some Workout Videos to get ideas of some No Equipment routines! Some other ideas: find a local park and take a jog, or go to a local football stadium and do sprints on the track or up and down the bleachers! Sometimes there are places you go where there is no place or option to really workout, and that is where walking comes in. Walking is a great form of exercise!! Even 35-45 minutes of walking is better than nothing, and if you’re like me and love exploring the places you go, chances are you will be walking much more than that! Just remember to stay hydrated and drink water when out and about! And even if you can’t pack your full workout attire, try to pack comfortable walking shoes. Sometimes our bodies need a break from the routine and a few days or week off can actually be beneficial. But I understand it can be hard to jump to jump back into the routine when you get home, check out my blog post Tips for Getting Back on Track to see my Personal List of what I do to jump back into the routine. I hope these tips help! Please comment below if you have any questions. I will do another post about this topic again in the future.